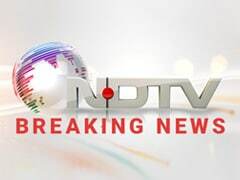 Hindustan Aeronautics Limited said the 20-minute flight was "flawless"
State-run Hindustan Aeronautics Ltd on Wednesday said its pilots have successfully flown the home-made 5.8-tonne Light Combat Helicopter with its own automatic flight control system for the first time. 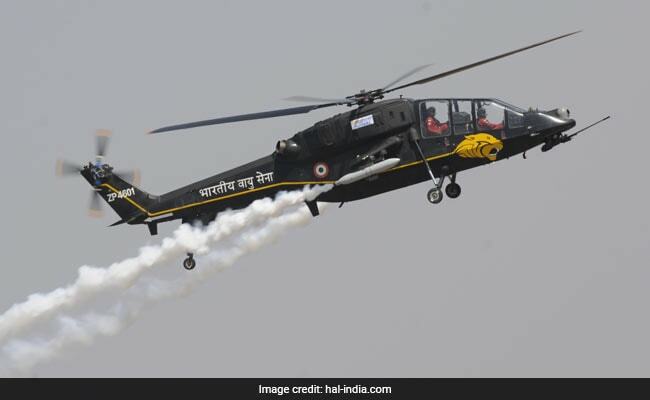 "The 20-minute maiden flight of the multirole copter was flawless with the engagement of the flight control system throughout," the state-run HAL said in a statement in Bengaluru. HAL Chairman T Suvarna Raju said the flight control system, whose development the company funded, would replace the imported one. HAL Chief Test Pilot Wing Commander Unni K Pillai (retired) and Test Pilot Group Captain Rajesh Verma (retired) flew the chopper after taking off from the defence airport in the city's eastern suburb. Representatives from certification agencies and company officials were present on the occasion. The company has also indigenised the attack helicopter's display system or the integrated architecture display system with the involvement of the private industry. The company received a request for proposal (RFP) on December 22 for the supply of 15 LCH from the Indian Air Force (IAF) and the Indian Army. The Defence Acquisition Council in 2016 cleared 10 LCH for the IAF and five for the Army. The chopper is powered by two Shakti engines and has many features of the indigenous Advanced Light Helicopter (ALH) Dhruv. The company has so far built four technology demonstrators of the LCH for flight testing. One of them also landed in forward bases at Siachen, located 5,400 metres above sea level in the eastern Karakoram range of the Himalayas. "The LCH also participated in the IAF's Iron Fist exercise in March 2016 and displayed its rocket-firing capabilities in weaponised configuration," the statement added. Defence Minister Arun Jaitely launched the LCH production on August 26 when it received the initial operational clearance. The helicopter also has day and night targeting systems for the crew, including helmet-pointed sight and electro-optical pod. As a derivative of the ALH platform, the LCH was certified by the defence regulator Cemilac on October 16, 2015, after extensive trials in all-weather conditions. Known for its agility, the tandem twin-seat chopper is equipped for day-and-night combat operations, with digital camouflage system for stealth actions.